Heather practices primarily in the field of Family Law where she undertakes complex parenting and financial cases. 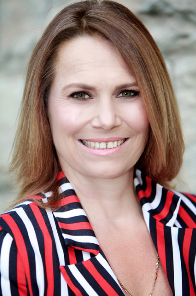 Heather is accredited as and appears regularly as counsel for the Independent Children’s Lawyer in both the Federal Circuit Court and the Family Court in Sydney and in Melbourne, and has a particular interest in de facto financial cases, relocation matters and alienation cases. Heather also has a busy practice in the Care and Protection jurisdiction, instructed in both primary Children’s Court hearings for both natural parents, psychological parents and the Independent Legal Representative, and in District Court appellant hearings from the Children’s Court. Heather has extensive experience in Local Court and Children’s Court criminal matters and has a background in medical defence litigation, insolvency and bankruptcy and succession. A warm and personable barrister, Heather is a very forceful advocate who shows an empathy and understanding of a client’s emotional issues. Heather is a member of the NSW Bar Association LARS scheme and is a fierce advocate for fair access to the court system for disempowered litigants.